BROWSE. EXPLORE. SHOP. SHARE THE EXPERIENCE. At Treasures by the Sea, we carry new and vintage jewelry, sea glass pieces, greeting cards, clothing for adults and children, vintage collectibles and a few pieces of furniture. We also offer a variety vintage one-of-a-kind treasures that we have found during our travels and adventures. We hope that the ones you choose to purchase in our shop or online bring as much joy to you as they have to us in finding them for you. Welcome to the Chincoteague Pony Centre! Welcome to the Chincoteague Pony Centre, home of the oldest established breeder of Misty family ponies. We have the largest herd of Misty family ponies on the Island. For a wonderful family experience to see and interact with real Chincoteague ponies, this is the best place to visit. Meet the descendants of Misty, (special thanks to the Allen family, owners of Misty's closest relatives). Sit down and enjoy a movie or stroll around the stables. There are many collectibles and antiques to look at or just relax with a cool drink and let life drift by. Offering the lowest prices on all merchandise, including lighting, banjos, guitars, ukeleles, mandolins, clocks, posters, oriental accessories and furniture. One of the most diverse selections you will find, emphasizing ECLECTIC merchandise. Once you visit us, you will always come back! With creative flavor, Dawn eclectically blends clothing, shoes and accessories with unique and practical selections for home decorating. Dawn offers exceptional clothing by exclusive companies like Flax, Habitat and Pure Handknits, stylish comfort footwear by Dansko and Naot as well as an endless array of handbags, totes and jewelry. For the home, Dawn offers hooked rugs, hand-painted serving dishes, Mexican glassware and whimsical tabletop linens, and so much more! Egret Moon Artworks is a small gallery in the heart of Chincoteague Island. Established in 2001 and growing. Artwork of Megan Willer, owner, features basketweaving, watercolors, handpainted furniture, pottery and one of a kind creations. The shop also features works of over 10 local artists. Like the tides, always changing! Come visit the talking heads garden and meet whoever is there to enhance your ('Goddess') power! Our store features an expansive collection of art from all over the United States, as well as local art. We would love to have you come by and take a look, there is something for everyone here! 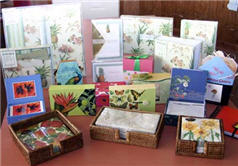 The items we have for sale on our website are only a small sample of the plenty of gift ideas we have in our store. Shopping at The Funky Closet is definitely a destination and a great adventure! Besides an eclectic collection of clothing for all occasions. 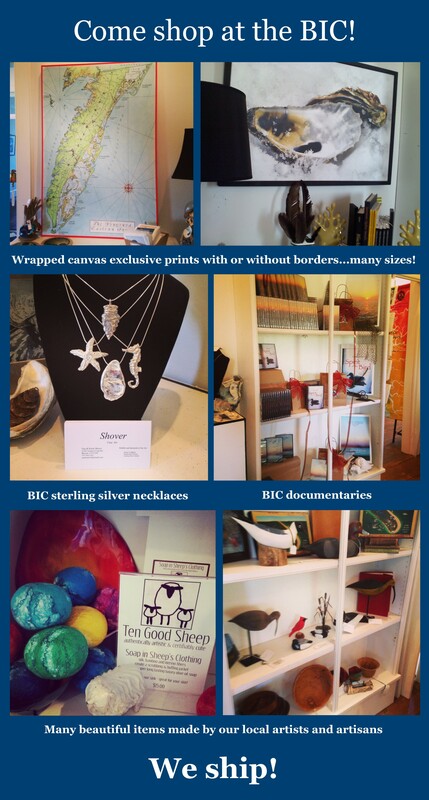 Offering an eclectic variety of products from upscale resale clothing, unique sterling silver or handmade jewelry, fashion accessories, home decor, and a gourmet coffee mini cafe. Open year round with seating on the porch to relax and enjoy historic downtown Chincoteague Island! Local arts, cottage furniture, antiques, and accessories for lovers of Island living. Simply Beautiful by Nature...The Refuge Inn gives you a feeling of seclusion, yet our Chincoteague Island hotel lodging is close to everything. This family owned Virginia inn is located just minutes from the Chincoteague National Wildlife Refuge, Assateague Island National Seashore and Wallops Island Space Flight Center. Clean, comfortable, and convenient, the Refuge Inn invites you to discover island elegance where there is as much or as little to do as your heart desires. The Refuge Inn offers a variety of accommodations suitable for couples, families and group gatherings. Select from our well appointed Queen Rooms, our luxurious Deluxe Rooms, or our ever popular one bedroom whirlpool suites. Amenities include complimentary continental breakfast, indoor/outdoor pool (March through Thanksgiving weekend), hot tub, fitness room, sauna, conference room, sun deck, observation deck, swings, picnic area, guest laundry, bike/beach gear rentals, free high speed wireless internet access, and our very own Chincoteague Ponies. We offer a variety of products for the heart, home, body, and soul. Hundreds of eclectic gifts - Burt's Bees, French Soaps, jewelry, hand carved decoys & birds, plus many other fine gifts. Shooting Star Gallery was founded in 1996 in Suffolk, Va with the goal of fostering relationships between artists and patrons. Having exhibited hundreds of local, regional and national artists, we continue to represent a diverse group of artists and are affiliated with many more. We endeavor to bring contemporary visual artists to the southeastern Virginia and northeastern North Carolina region and strive to attract a diverse group of artists and audiences. Friday - Monday 11:00 A.M. - 6:00 P.M.
Canvas Paintings, Printed Occasion Cards, Slate Art, Wall Murals, Shell Ornaments, Painted Furniture, Hand Made and Painted benches and tables, One of a kind art works, Touch ups and redos. To view more art come to 4044 Main Street, Chincoteague, VA, next to Bill's Restaurant. Old fashioned soda fountain and grill. Large parking area for campers or buses. Gas station. DVD selections plus much more.